Stitch Along with Me: How Does Your Garden Grow? Our Garden is the other thing that keeps us busy during the summer. It's been warmer and sunnier here than usual, and even the grass has been slowly edging out the moss! Flowers are doing well, but everything requires a bit of attention, right? As you can see, our backyard is pretty shady. 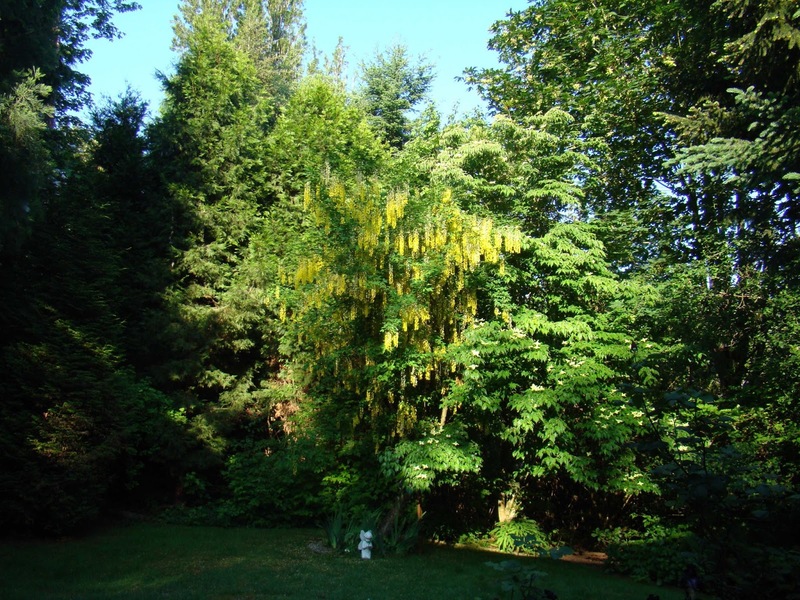 The golden chain tree is done blooming now, but sure was pretty at the end of May. 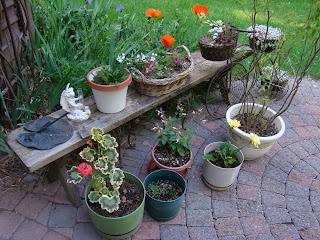 I love to put flowers in pots to keep them out of reach from most of the critters. However just today I discovered something had been burrowing in the green pot. I wonder what? 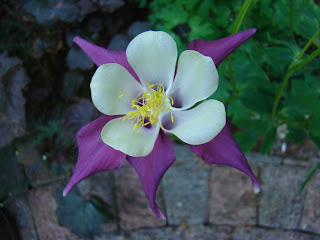 Columbines have done very well in our yard, especially the frilly ones. They just reseed everywhere! This one is my favorite though! No wonder it's Colorado's state flower. These dark irises have done really well this year, too. And now I'm realizing we don't have any photos from the front yard, but that's OK as right now not too much is going on out there except for one lily. 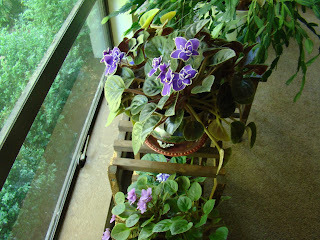 However, not to be out done, the indoor violets are very happy at the moment. And that reminds me, time to go water. Bye for now! Gorgeous! I am green with envy. Your flowers, especially the Columbine are so pretty. We don't have much in bloom right now. 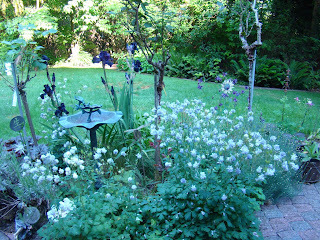 Steve transplanted a whole mess of African Iris and we are waiting for them to "take hold" and start blooming. With all the rain we've been having, it shouldn't take long. your garden is beautiful! We have lilies blooming right now but I wish we had more flowers than we do. My backyard is very shady, too. I can grow hosta and fern, but that's about all. 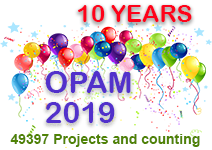 Our growing season is much shorter than yours! What terrific photos, thanks for sharing. We have golden chain trees here too, although they are not flowering at the moment. Love that state flower it is so pretty. Our gardens are growing very well due to all the rain although they are starting to become water logged so a bit of sun would be nice. On the weekend I just finished shovelling the last of the 5 cubic metres of mulch. Gardens are happy. Have a great day. I love a beautiful garden and flowers, but I'm not a gardener and my flowers would wither away and die if my hubby didn't take care of them LOL!!! That dark iris is absolutely gorgeous!!!!! 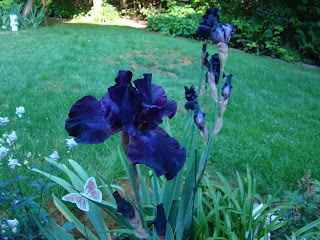 Lovely plants: the dark iris is by far my favorite.